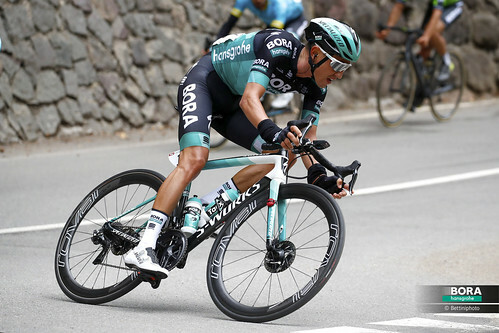 Felix Großschartner reclaims GC 5th after BORA-hansgrohe pull together on Vuelta a San Juan Queen Stage. The profile of stage 5 of the Vuelta a San Juan looked hard, but the reality was even harder. Even after a rest day had given riders a chance to recover from four hard days of racing in the Argentinian heat, the four categorised climbs of stage 5 were going to be painful no matter what kind of form the riders arrived at the stage in. While Felix Großschartner had ridden well in the earlier stages, the Austrian rider crashed early on in the day’s racing. 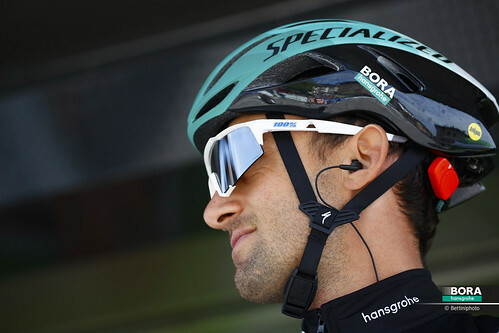 The BORA-hansgrohe riders rallied around him and delivered him to the finish to help him rise back up to fifth in the GC race as the Vuelta enters its final days. Today’s stage was going to be pivotal in deciding who was going to take the GC prize. Starting flat, the profile of the race’s Queen Stage steadily worked its way upwards and never stopped to give riders some respite. In spite of a rest day helping them claw back some energy, it was right back into racing today, with four categorised climbs over the stage’s 169.5km, including the first category ascent to the summit finish – the Alto Colorado. The race would pass through some of Argentina’s most beautiful and desolate scenery, meaning riders would have to make sure they stayed hydrated and were ready for the challenges to come on the final climb. 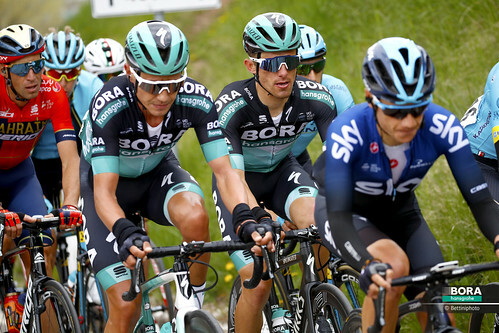 It was a day for attacking riding – after one group of eight made their move at the start of the day, another group gave chase, creating two groups on the road, eventually merging into one. While they had an eight minute advantage, the escape group was keen to make this last, but as the final 10km came into view and with the escape dropping riders, this lead was sitting at under two minutes and melting away quickly. 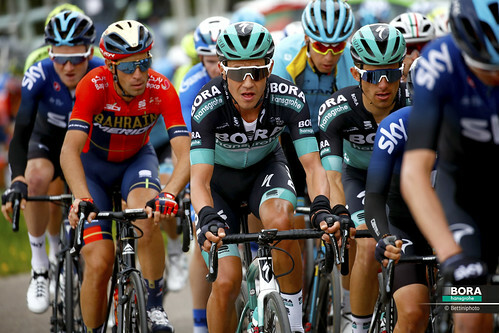 A trio attacked from the peloton to try to chase down the remaining breakaway riders, and the renewed vigour from the bunch saw the gap drop. 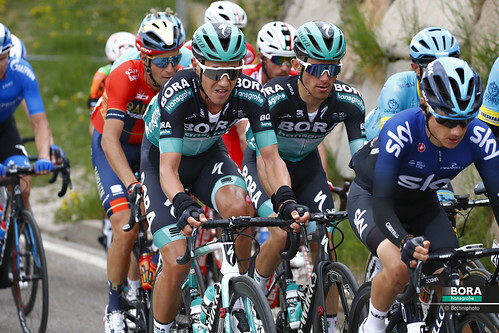 Paweł Paljański and Felix Großschartner were in the bunch as the reduced peloton made its way over the upper slopes of the Alto Colorado, the high altitudes making riding the final climb’s slopes even harder. As the attacks from the bunch were quickly brought back, this left the trio out in front to take the win and to force the reduced peloton to work to reduce their time losses. While he had suffered a crash earlier in the day, Felix held on well to take a finishing position that saw him jump a spot in the GC rankings to fifth.